These very attractive domed ‘Mandarah’ are simple but beautifully designed using local limestone. They have been built on the side of the wadi (valley), overlooking the sea. 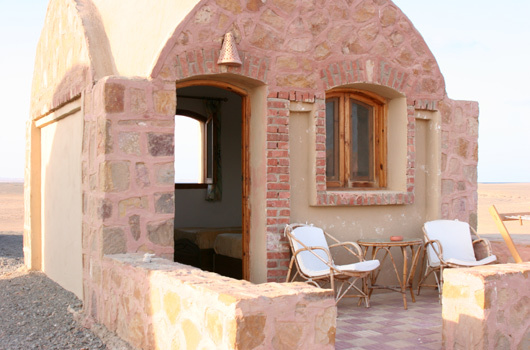 Traditional domed and vaulted desert architecture and thick stone walls keep the rooms cool. Each chalet has its own terrace with views of the sea. The Mandarahs are located behind the domed tents on the side of the wadi (valley) overlooking the bay. 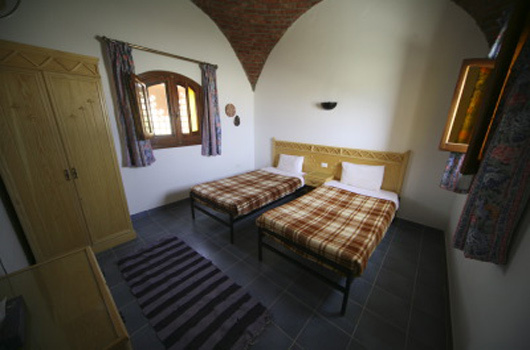 The chalets are furnished with 2 beds with sheets, blankets and a pillow each. There is a bedside table with lamp and a wardrobe. The Mandarahs are 3.5 x 3.5m with domed roofs and windows. 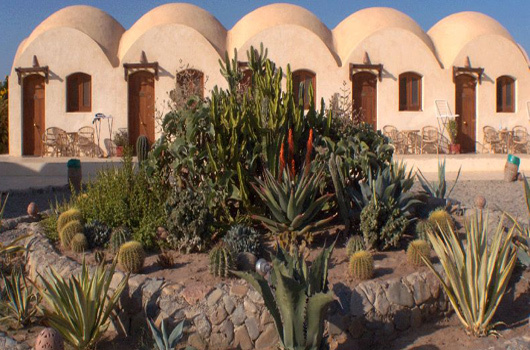 This desert styled architecture is very effective and they stay cool enough without requiring air-conditioning. Guests staying in Mandarahs use showers and toilets with running hot and cold water situated in shower blocks nearby. Bring your own towels for the beach and for showering. Sheets and pillowcases are changed regularly by the housekeeping team. 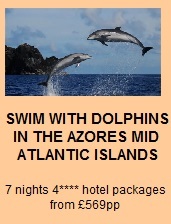 "We had the best holiday ever and our swimming with dolphins, it was an experience of lifetime. Even our grumpy teenage girls were blown away and forgot their adolescent sulk! Khaled was a joy and the girls adored him. The overnight boat trip was such a treat, the boat was a beauty and the crew were fab. I've been recommending the holiday to anyone who'll listen and will continue to do so. "